This is a 6ml (0.20 fl. 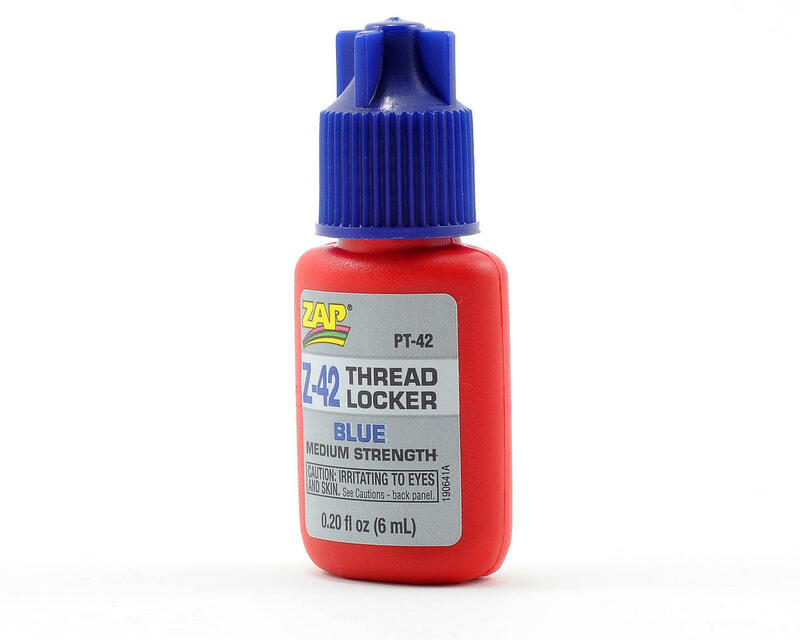 oz) bottle of Z-42 blue Thread Locking adhesive from Pacer Technologies. If you race Nitro vehciles, you will need lots of this stuff to keep any metal on metal screws from vibrating loose. Best preventative measure you can do to you car is to make sure screws are locktite'd down, so you can finish those long mains! 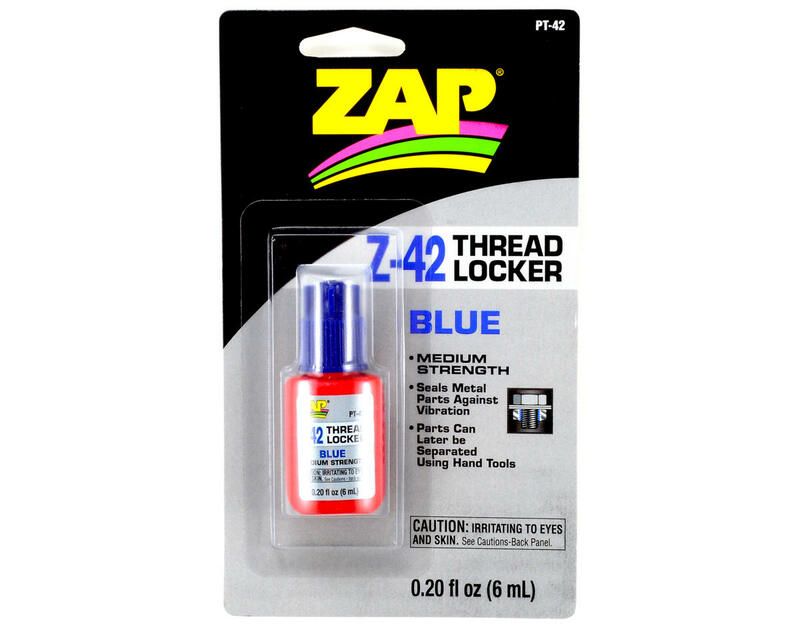 Blue thread locking adhesive is not permanant and will not permanently bond the screws. If you are having a hard time removing thread locked screws, use some heat from a heat gun as thread lock will break down under high temperatures. If you run nitro , you NEED this product! all metal to metal fasteners should be given a drop or two prior to tightening. Yes , even your 17mm wheel hex nuts should be locktighted !! I prefer red on my clutch bell / crankshaft , but I'll leave that up to you to decide, you will need a blow torch and good hex tools to remove red loctite !! Depending on you kit red may be overkill , however some kits are notorious for allowing certain parts to vibrate loose , search the forums or learn by experience where and what type of loctite to use, a good tool box will carry both !!! Excellent product for the price. Your screws wont unscrew on the the most agressive vibrations. Awesome product. Nice handy bottle and an easily controllable squeeze design make this my favorite by far.